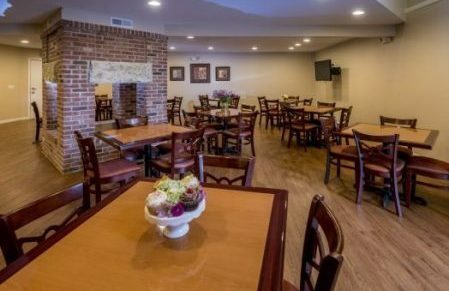 Do you need a place to host your next reception, shower, birthday party, or family reunion? Do you run a business from your home and need a place to meet clients or host parties? The Community Room at Parkstone Villas is the perfect place to host your next private event. Seating is available for up to fifty people, but more can be added as needed. The first floor is available to the general public at a rate of $150 for the full day (8am to 10pm). The second floor is only available to residents. There is no charge for residents to use either floor. 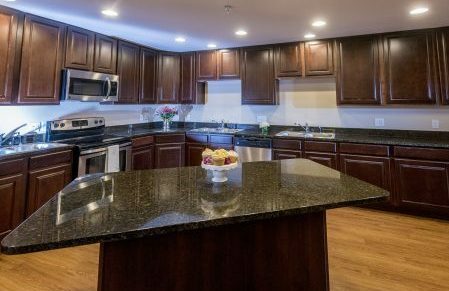 The first floor of the Community Room features a full kitchen with three double sinks, an oven/range, a microwave, and a full size refrigerator. The second floor also features a full kitchen with one double sink, oven/range, microwave, and full size refrigerator. Each floor has a television with cable or you can connect your own video player or display device. For more information, or to reserve the Community Room for your own event, please call 217-599-1127. Download a printable PDF of the rental contract.